Chances are, you’ve heard of crowdfunding. Whether it’s through the news or from a friend, there are new crowdfunding projects appearing daily and they all are asking for your money. Crowdfunding is where companies – either startups or established brands – ask the public to contribute money into an idea. That idea could be a new tech gadget, a new album from a musician, or helping someone start a new business. It’s up to that company to create a compelling message so you, the backer, feel it’s worth your money to help make that product a reality. The biggest concern with crowdfunding is the possibility that the product you back never gets released, which means you lost your money. This is why crowdfunding shouldn’t be treated as buying a product, but as an investment into a company that you hope will succeed. Unlike shopping at a store, the products that are being crowdfunded aren’t being manufactured yet. This is why companies need to create a large amount of trust and confidence from backers. In the early days of crowdfunding, it was common for companies to blow past their goals but then fail to deliver their product. The reason? They didn’t prepare and research exactly what they promised and how much it would cost to produce it. To help first-time backers, Crowdtoolz has put together this guide to explain the most common questions, sourced from our previous campaigns. What Does It Mean To Back a crowdfunding campaign? The two most popular crowdfunding platforms are Kickstarter and Indiegogo. Each platform has different terms for the same action. Kickstarter calls your donation to a project a “pledge” and a “reward.” The pledge is the amount of money you’re going to give and the reward corresponds to the amount of money. Indiegogo calls the their rewards “Perks.” They’re the same thing. A reward or perk corresponds to the amount of money that you’re going to give as support. But you’re never blindly giving money to the company. These rewards/perks are attached to something that will eventually be sold by the company. In the case of FRETX, they’re using Indiegogo. At $69 (the contribution), you get a FRETX device, 2 rechargeable batteries, and battery charger. 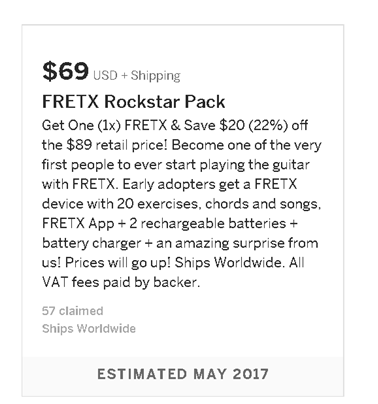 Essentially, you are pre-ordering the FRETX for its May 2017 delivery date. The rewards/perks give you an incentive to pledge more money to a campaign. Depending on the campaign, lower levels might include a t-shirt or sticker and at higher perk levels it may be packs of the product. For music, the higher perk could be a vinyl copy of a new record. It all depends on the campaign. You may see the terms “Super Early Bird” and “Early Bird” mentioned at the start of campaigns. These two pledge levels hold the highest discounts against the retail price of a product. For the majority of campaigns, these are limited quantity offers. The quantity that is offered differs for each campaign. Super Early Bird is usually the best discount, usually 50% or more off the retail price. The Early Bird discount is less than the Super Early Bird, but is still a great offer. Your best chance at securing Super Early Bird pricing is to be one of the first backers on a project. You can usually get this perk if you’ve signed up for a company’s mailing list or by discovering the campaign in the first couple days. Early Bird perks normally have a bigger available quantity, but you don’t want to wait because you could miss out quickly. When you scroll down a campaign page, you’ll see a lot of different perks. Which should you pick? That depends on your level of interest and how much money you’re will to contribute in the campaign. Before the Super Early Bird or Early Bird perks, you may see a “Thank You” perk. This low level perk is essentially a non tax-deductible donation to the campaign. You’ll normally get a thank you from the company. More expensive perks can include multiple quantities of the product like a family pack of four. Or in the case of some music campaigns, you might be able to meet the artist one-on-one. 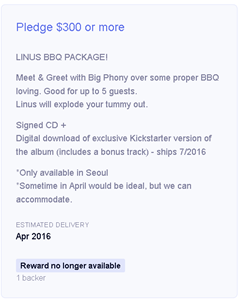 South Korean musician Big Phony used Kickstarter to crowdfund his latest album. For $300 you could eat BBQ with him in Seoul. There’s no real limit to what the perks can be. The biggest concern before you back any project is knowing that a company can actually fulfill all the perks they set, even if they’re humorous. For more serious campaigns, companies limit the number of outrageous perks to ensure they’re taken seriously. But for amateur crowdfunding campaigns, they may think it’s a joke until someone pledges that absurd amount of money and then they scramble to try and fulfill it. For example, Penny Arcade ran into this problem. Kickstarter and Indiegogo offer different payment options. There’s also a difference in how campaigns receive backer money. Kickstarter doesn’t charge you until the end of the campaign – if it was successful. If the campaign ends without enough funds, you never see a charge. On the other hand, Indiegogo charges you immediately. This is something to keep in mind when pledging. If you pledge for a big perk, you have to make sure you have the funds to cover it. On Indiegogo, you’re going to get charged as soon as you complete your contribution. Be aware though that you can only get a refund during the time the campaign is live. After that you’re going to have to talk directly with the campaigner to get a refund. Many campaigns are from outside the United States, so foreign currency conversions can be confusing. Indiegogo allows companies to raise money in United States dollars regardless where the company is located. Kickstarter, on the other hand, requires companies to use the currency where the company is established. Qi Aerista ran into trouble with this because the company is based in Hong Kong. The problem began because Hong Kong also uses the “$” sign like the United States. When backers looked at the prices, they saw the prices were much greater than what was previously announced. $149USD became HK$1159 and the shipping price displayed as $155, with no indication it was in Hong Kong dollars. Some backers were able to look closely and see the USD conversion, but Kickstarter had to correct the problem by adding “HK$”. Qi Aerista was forced to explain the issue in a livestream and by writing a Medium post to fully explain how the conversion worked. If you’ve never backed a campaign before, you might think when you pledge your money, it’s like ordering online from Amazon. You pay for a certain perk and the item is shipped to you. This is not the case with crowdfunding. What you’re doing is putting money in to help a company produce a product. Every campaign should have a timeline. This timeline should display the expected dates for the campaign. A good example is Glance Clock. This timeline displays the entire history of Glance Clock. 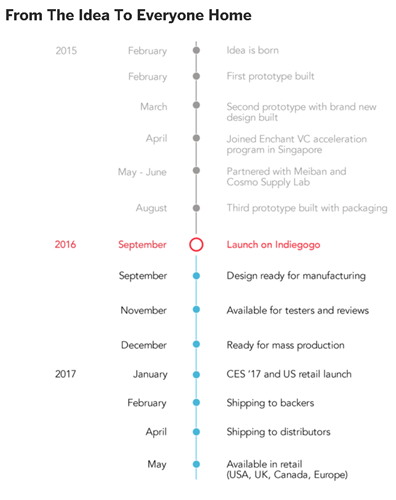 From the first idea in February 2015 to the prototype iteration up to the shipment to backers and retail availability. In the case of Glance Clock, the company’s Indiegogo campaign launched in September and the shipments of Glance Clock to backers is expected to begin in February. You have to consider a campaign’s timeline before backing. It’s not uncommon for campaigns to ship six to eight months after the end of the campaign. Also be aware that timelines contain expected dates. This doesn’t take in account possible delays or problems that can arise. 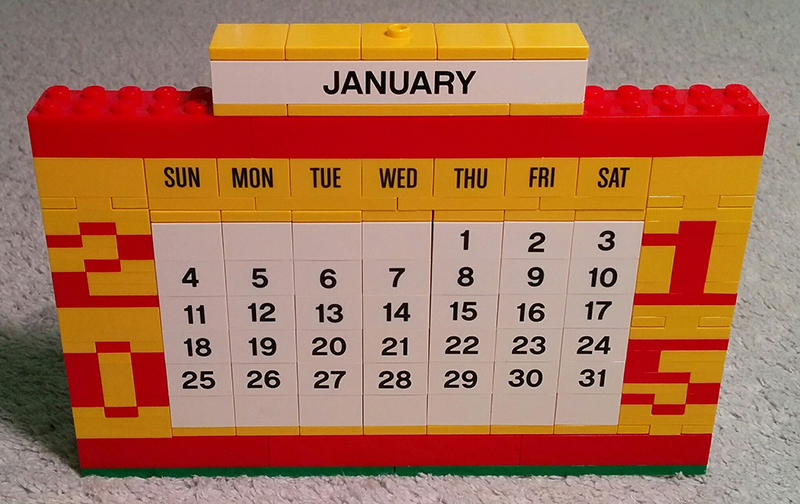 Companies work hard to meet these dates, but there are circumstances that are out of their control. Crowdfunding is becoming the norm for both entrepreneurs and established companies. For them, it’s lower risk because they can get direct data about public interest for a possible product. But at the end of the day, you should back projects that you believe in. More companies are aware of the stigma of not delivering what they promised, but there is still a possibility that your contribution may never result in a final product. If you’re really unsure, contact the company running the campaign through their website or social media to voice your concerns. Crowdfunding has brought some great products to market that wouldn’t have been able to with traditional investment. This method of funding is only going to evolve further from products to direct company equity investment. Welcome to the future of fundraising.